“Leadership doth not consist of giving lectures and then issuing orders. 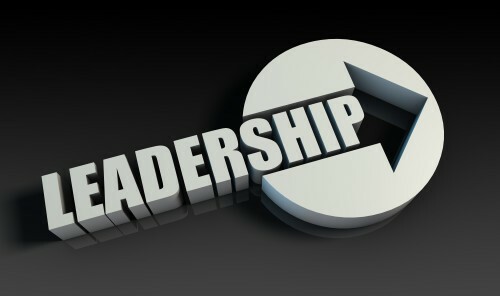 Leadership consists of understanding what others desire and harnessing that desire to serve the common good“. I. Thou shalt remain optimistic. Since thy employees look to thee for leadership, thou must not let thy worries and concerns cast a black cloud over everyone else, for that way lies certain failure. II. Thou shalt set a clear direction. If thou wouldst be a leader, thou must create a vision in the minds of your followers whence and whither thou art leading them. Fail at this, and thy organization will wander into the wilderness. III. Thou shalt create a workable plan. While no plan should be engraved in stone and plans should be amended when conditions change, if thou hast failed to plan, then verily thou hast also planned to fail. IV. Thou shalt secure sufficient resources. While it is written truly that faith can move mountains, that faith must be accompanied by bulldozers, dump trucks, and paid employees who know how to use them. V. Thou shalt listen more than talk. Leadership doth not consist of giving lectures and then issuing orders. Leadership consists of understanding what others desire and harnessing that desire to serve the common good. VI. Thou shalt not hold meetings without agendas. Before each meeting send out a decree defining what will be discussed and for how long. Then adhere to thy own decree as if the productivity of the entire team depended on it. For verily it doth. VII. Thou shalt not criticize in public. Though thy staff and colleagues consist of fools and rogues, public shaming creates resentment. Should a follower deserve a reprimand, provide it in the privacy of thy office. VIII. Thou shalt not ask an employee to do something that thou wouldst not do thyself. Truly great leaders, should they perceive a scrap of litter on the floor of a hallway, will bend down, pick it up and throw it into the trash. IX. Thou shalt not make of thyself a bottleneck. If thou insist upon making every final decision, the progress of thy organization will grind to a halt. If thou canst not delegate, thou hast no business pretending to be a leader. X. Thou shalt give thy team the credit. True leaders accept the blame when things go awry and take no credit when things go right. Thy rightful reward will the love and commitment of those who continue to work for thee. Geoffrey James is a contributing editor at Inc.com, where he writes the award-winning Sales Source blog. A former systems architect, brand manager, and industry analyst inside Fortune 500 companies, he’s authored numerous books and articles and has spoken at events hosted by Dell, Gartner, and Wired.